Total Ag Solutions Tasmania is a farm machinery retail business that caters for all facets of the agricultural, construction, lifestyle and specialised mowing communities in Tasmania through sales, parts and servicing of their core brands; Kubota, Massey Ferguson, Fendt, Kuhn, Krone, Taarup and Hustler. 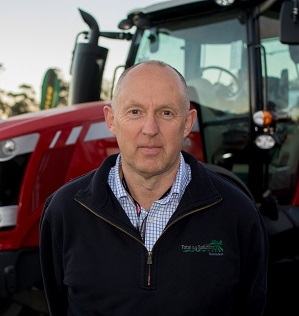 Located in three locations across the state in Devonport, Hobart and Smithton and employing over 45 staff; Total Ag Solutions pride themselves on holding experienced, knowledgeable staff and providing top of the range service and advice to their local community. Total Ag staff are not limited by their branch location and make it a priority to be where you need them, when you need them. They know how important it is to get you the parts, service and advice quickly to get you moving when it counts. 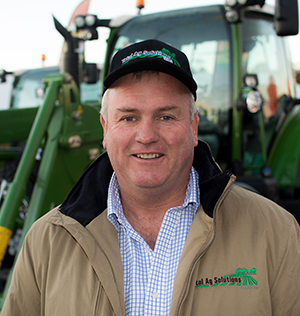 Formally Tasmania Farm Equipment, the business was purchased from Ruralco Ltd (03 March 2017) by a private party made up of Tony Brooks who has invested the last 40 years of his career into TFE and Phil Hines Total Ag Solutions Wagga Wagga who has spent his career in the Agricultural industry in NSW. Both are passionate about providing top quality service and in running an industry leading business that fills the needs of the hard working locals. Contact us today to see how our Total Ag team can help you. Total Ag Solutions prides themselves on being a solution focused business with locals at heart. Who are some of the team you may speak to?